Hello everyone. Today I want to share my knowledge how to hide the Recently Modified Section located in the Quick Launch. Many people do not like it because it “breaks” the navigation. Like always there are many possibilities to achieve this, but I will show you the possibility I think is the best. Now save it as “HideRecentlyModified.css”. 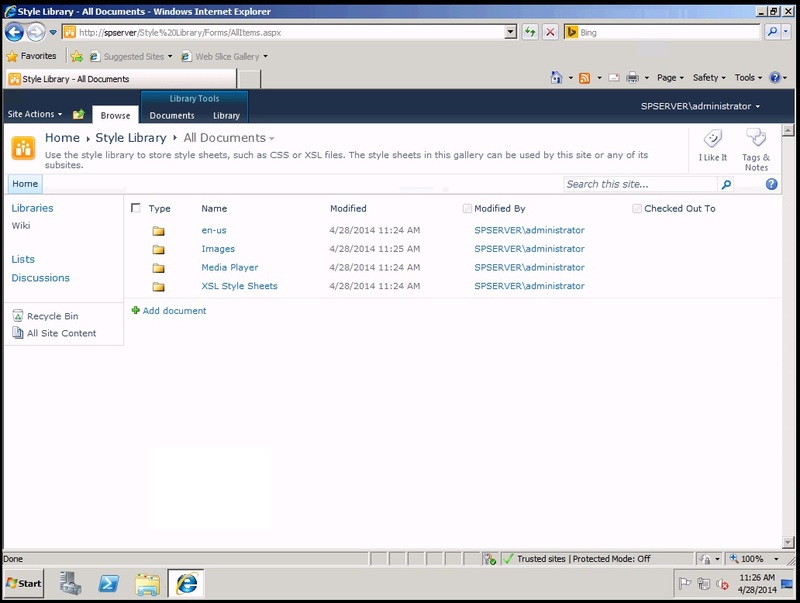 Now go to All Site Content and go to the newly created Style Library. Create a new folder and call it “Custom” (This way you will be able to identify your changes when some time has passed). Now upload your Custom CSS file (HideRecentlyModified.css) to this folder. 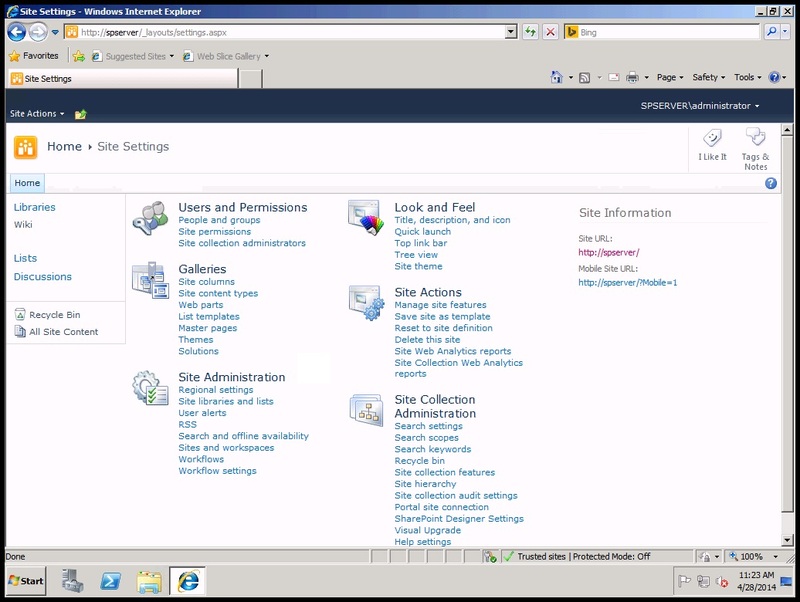 Go to Site Settings and click on Master Page under Look and Feel. There you will find the heading “Alternate CSS URL” where you need to choose the option Specify a CSS file to be used by this publishing site and all sites that inherit from it and select your Custom CSS file. Now click on OK and you´re ready to go. 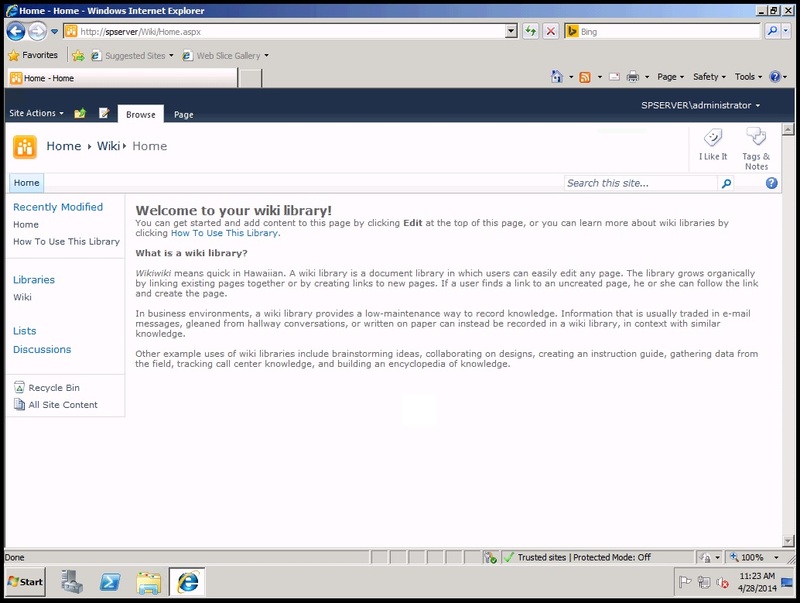 When you now take a look at your Wiki Library you will notice that Recently Modified is gone. That´s it. 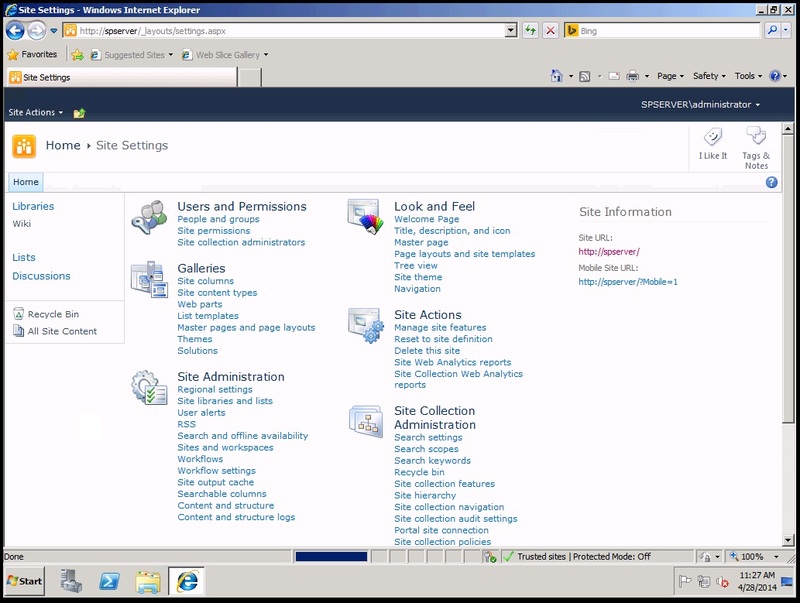 Now Recently Modified will no longer be visible on this SharePoint Site. The big advantage of this method is that you can enable it on a per site level, combine this CSS setting with other settings and you can easily revert it. I hoped you liked my post. That´s it. That is all you need to do to make it work. If you want to publish this Shortcut to a larger group of people you might consider using Group Policies. The first step is to create a new Shortcut item. 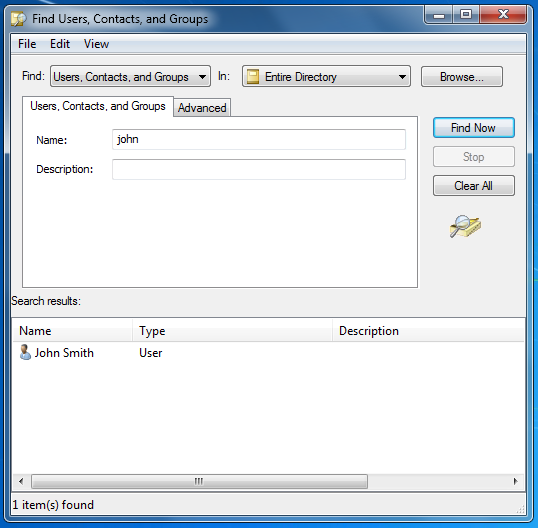 I called mine “Active Directory Search”. I would also recommend to apply the setting “Remove this item when it is no longer applied” to make sure the Shortcut will be removed when you want to retract this solution. If you configured everything correctly your Shortcut will appear on your users Desktops. 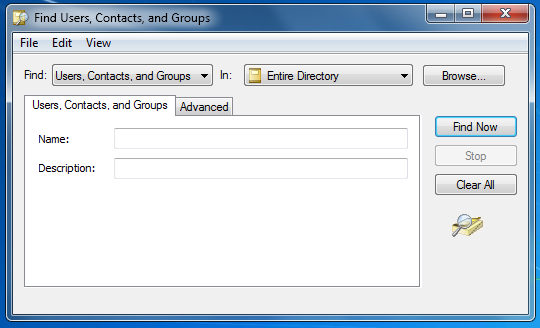 Now every time your users use this Shortcut this window will open allowing them to search your Active Directory. 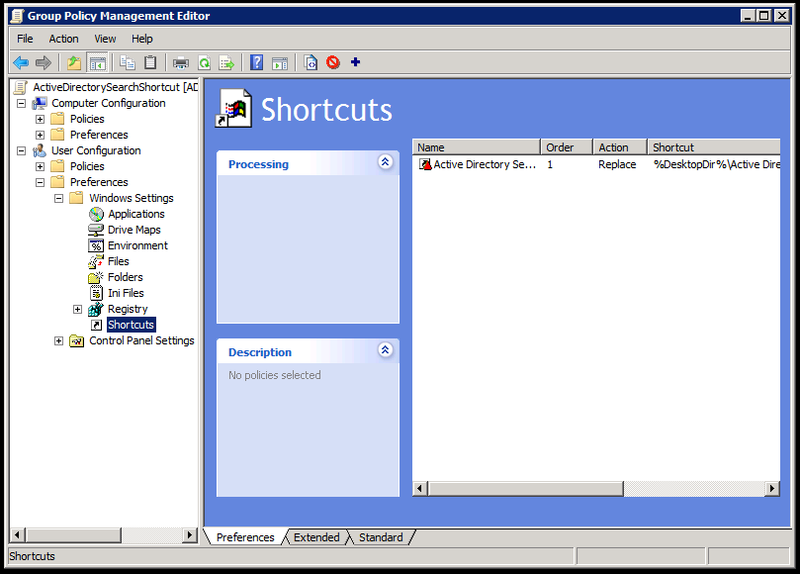 Info: Don´t worry about users editing your Active Directory system. If they do not have the appropriate permissions to change things they will only be able to read information. That´s it for today. I hope my post was useful for you. Hello everyone. 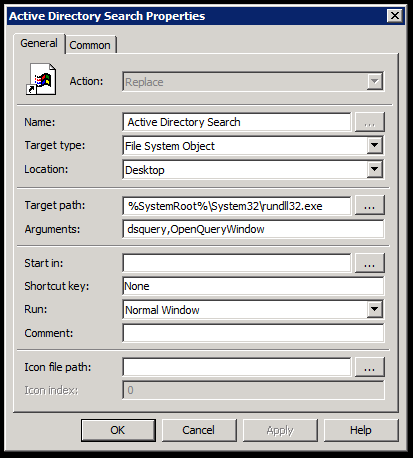 Today I will show you how you can run Linux applications with a GUI on Windows by using Putty and XMing. 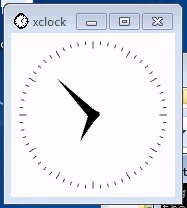 Now log on to your Windows machine and install XMing. Simply click through the wizard and keep the default settings. 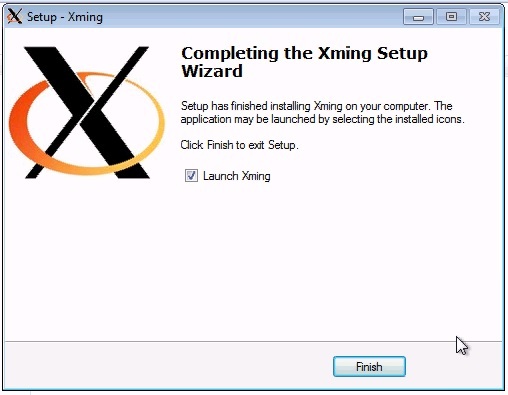 After the installation finished you need to allow XMing to bypass your firewall. 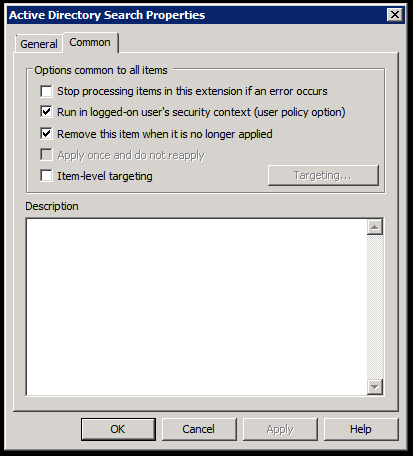 To do so simply click on “Allow Access” when you run XMing. Now you need to configure Putty. Run Putty and enter the IP address or hostname of your Linux Machine and the number of the SSH Port you are using on this machine (The Default Port is 22). Enter a name for this Session in the textbox below “Saved Sessions” and click on Save. The next step is to configure the X11 forwarding. Go to Connection -> SSH -> X11. Check the checkbox next to “Enable X11 forwarding” and check the radio button next to MIT-Magic-Cookie-1 below Remote X11 authentication protocol. Now go back to Session and click on Save. Now start the session by clicking on Open. Now this window will open up. 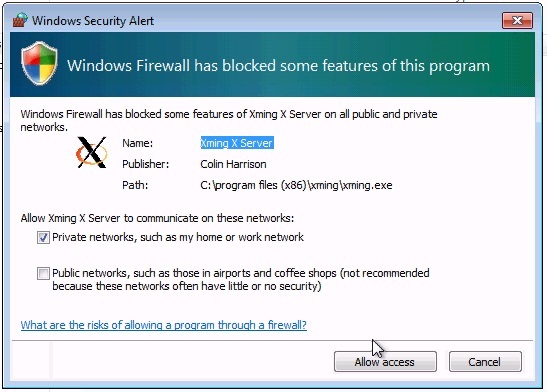 Important: If you try this and nothing happens, make sure that XMing is running and it can bypass your firewall. That´s it. Now you can run Linux applications with a GUI via SSH on Windows.